- Mid-South Coliseum (October 6, '75) = Mike Graham fought to a No-Contest with the Mongolian Stomper. - GCW Ali vs. Inoki CCTV (June 25, '76) = Graham took down Tony Charles. - Mid-South Coliseum (April 24, '77) = Graham & Kevin Sullivan stayed the NWA World Tag-Team Champions, winning over Bob Orton Jr & David Schultz. - NWA Florida Tag-Team Title Tournament (December 6, '77) = Graham & Steve Keirn fought to a Draw with Jack & Jerry Brisco. Ivan Koloff & Mr. Saito won the tournament. - NWA Florida Superbowl of Wrestling (January 25, '78) = Graham & Steve Keirn won the NWA Florida United States Tag-Team Titles, beating the Valiant Brothers. 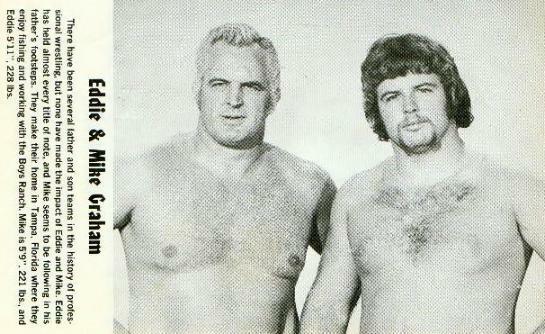 - NWA/WWWF World Title Unification (February 23, '78) = Graham & Terry Gibbs lost to Jack & Jerry Brisco. - NWA Knoxville Night of Champions (May 18, '79) = Graham lost the NWA Southeastern United States Junior Heavyweight Title to Kevin Sullivan. - CWF United States Tag-Team Title Tournament (July 4, '80) = Graham & Jimmy Garvin lost in the first round to Terry & Dory Funk Jr. Bugsy McGraw & Dusty Rhodes won the tournament. - NWA Florida The Last Tangle In Tampa (August 3, '80) = Graham lost, via DQ, to the NWA Junior Heavyweight Champion, Les Thornton. - Mid-South Coliseum (August 30, '82) = Graham & Buddy Landel fought to a Double Countout with the WWA Tag-Team Champions, Spike Huber & Steve Regal. 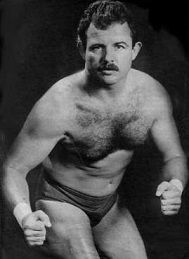 - NWA Florida Lords of the Ring (June 30, '84) = Graham defeated Chavo Guerrero. - NWA Starrcade '84 (November 22) = Graham lost to the NWA Florida Heavyweight Champion, Jesse Barr. - NWA Starrcade '85 (November 28) = In a dark match, Graham fell to Pez Whatley. - NWA 2nd Annual Jim Crockett Sr Memorial Tag-Team Tournament Cup (April '87) = Graham & Nelson Royal fought to a Draw with Steve Keirn & George South. Nikita Koloff & Dusty Rhodes won the tournament. - Mid-South Coliseum (March 38, '88) = Graham & Steve Keirn retained the NWA Florida Tag-Team Titles, beating Jonathan Boyd & the Moondog. - Mid-South Coliseum (April 11, '88) = Graham took down Moondog Spike. 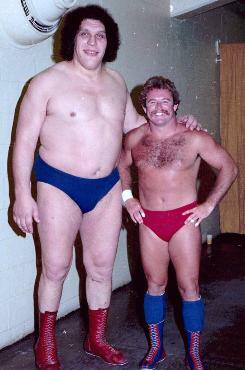 Mid-South Coliseum (May 9, '88) = Graham & Steve Keirn defeated Max Pain & Gary Young. 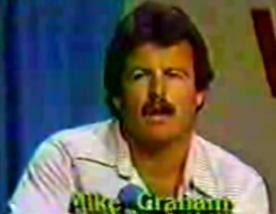 - WWC 15th Anniversary Show (September 10, '88) = Graham beat Don Kent. - WCW Clash of the Champions XVI (September 5, '91) = Graham was pinned by Ricky Morton. - WCW Starrcade '91 (December 29) = Graham & Diamond Dallas Page fell to Bill Kazmeier & Justin Thunder Liger. - Wrestle Reunion (January 29, '05) = Graham, Dusty Rhodes, & Dustin Rhodes won over CM Punk, Kevin Sullivan, & Abdullah the Butcher. Mick Foley was the special referee. - World Wrestling Legends (March 5, '06) = Graham & Dory Funk Jr won over Tully Blanchard & David Flair. - PWG Kurt Russellreunion 2: The Reunioning (January 29, '11) = Graham competed in the "Legends Wrestle-Royale" Match, which was won by Roddy Piper.